Stop the Drop Auction takes privacy seriously. The following principles underpin our approach to respecting your privacy and our commitment to GDPR. Your personal data is kept on record as a registered member of StoptheDrop Auction solely to allow you to participate on the auctions. You may edit/change or remove your detail at any time. Your personal data has been obtained by your registration to StoptheDrop Auction. Communication between your web browser and our website uses industry standard encryption techniques (TLS 1.2) utilising a domain verified certificate provided by Let's Encrypt (https://letsencrypt.org/). Our web server is well maintained, monitored and fully updated to the latest operating system patch level. Every effort has been made to ensure that our website is secure and resilient to attacks such as Cross Site Scripting (XSS) and SQL injections. Cookies are utilised as a means to identify customers on our site for the purposes of using our auction system. These are temporary and expire when logging out of the auction system or by closing your web browser. Other cookies used are for Google Analytics which provides us with a means to track and analyse how our customers use our site in order to help us improve the experience for everybody. Our details The data controller in respect of our website is John Neale. Selling on "Stop the Drop Premier" "Stop The Drop Silver Star" "Buy Now" and "Up The Bid"
Stop the Drop Auctio offers an auction house type service where the goods are taken in, photographed, described, priced, uploaded, invoiced and posted all for an inclusive 16% commission. 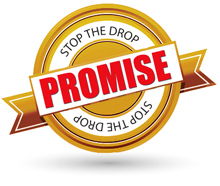 Stop the Drop has a no sale no fee policy and does not charge a buyers premium. Payments for goods are held in a clients account until the goods have been received and approved. Buying on "Stop the Drop Premier" "Stop the Drop Silver Star" "Buy Now" and "Up The Bid"
Buyers intending to purchase on Stop the Drop must first register or sign in. Money Transfer. (This method may incur a bank handling fee depending on the method used. Swift payment does not incur a fee to the recipient and is recommended). PayPal or Credit Card linked to PayPal. (A 3.5% surcharge will be added to the invoice price for payment by PayPal or Credit Card linked to PayPal). This fee applies to al sales in the UK. For sales outside of the UK a 4.00% for Europe, USA and Canada and 5.00% for the rest of the world charge applies. NB A standard fee of 20p is also added to percentages charged. Payment must be made in full before purchases can be released. Payments will be held in a clients account until the goods have been received and approved. Items purchased on the ‘Stop the Drop" can only be returned if there is a valid reason. In the event of any valid dispute payment will be held until the dispute is settled or the goods have been returned to Stop the Drop in the same condition in which they were sent. See also ‘The Stop the Drop Promise’ for advise on the other selling and buying options. Electrical goods such as transformers, controllers, etc are sold only as collector items and should not be used without first being checked by a qualified electrician. Condition ratings given to lots for sale on Stop the Drop apply only to the appearance of the item. Clockwork Electric and Steam driven items are not tested and are therefore not guaranteed to work. Clockwork and Electric items can be tested on request for working at the time of purchase this doesn’t however constitute a guarantee if the item should not then continue to work. Steam driven items cannot be tested and are sold as they have survived. The cost for posting an item First Class within the UK is shown on the details of each lot. More expensive items are priced for Special Delivery Postage. Whilst every effort is made to insure items are packed in a suitable way to arrive safely Stop the Drop cannot be held responsible for items lost or damaged in the post. For this reason Stop the Drop recommends that items are sent by Special Delivery or Insured Parcel. All bids, reserved prices and out bids will be notified by email and appear in the users Control Panel under ‘’Notifications’’. Successful bids will also be notified by email and again appear in ‘’Notifications’’. Stop the Drop is committed to providing a fair and transparent buying and selling experience and therefore instilling a secure and confident platform for users to deal to buy and sell. Stop the Drop will take seriously and investigate thoroughly complaints received regarding other registered users on the Stop the Drop website. Repeat offenders will be removed from the site to allow a fair system for all that hold the same desire to collect and sell collectables. Please contact questions@stopthedropauction.com for more information or to report a user. I have read and accept the Stop the Drop and FairsOnline terms and conditions and wish to proceed with my registration. eg. Google search, advertisement, recommendation etc. Phone * Mobile Phone Email * Password * Confirm Password * Click the Submit Details button to apply changes Receive Newsletter? If you wish to receive category new listing notifications for Stop the Drop Premier, Silver Star, Up the Bid and Buy Now please tick the relevant boxes below. Please note this does not apply to Fairs Online.